The new RFID sensors from ifm electronic can display switch-off operation directly using the LED display when the actuator slowly leaves the sensing range. This means that, for example, the door and the actuator can be ideally paired to each other and higher machine uptime is achieved. 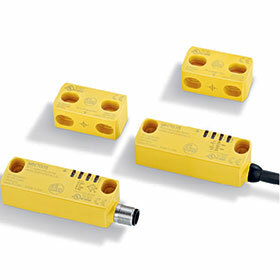 All sensors in the range meet the requirements ISO 13849-1 and IEC 62061. Even if 32 sensors are connected in series, the highest safety level is maintained. The non-contact RFID sensors allow reliable monitoring of door status without any wear. The part numbers for this new product are: MN700S; MN701S; MN702S; MN703S; MN704S & MN705S.